If you’ve been following us for a while, you’ll know that we love ingredients. We can wax lyrical about the ingredients in skincare products until we’re blue in the perfectly dewy face. We believe that ingredients used to make a skincare product are no different to the recipe for a delicious cake. Not that you can eat skincare (unless it’s Biologi, but that’s a story for another day! ), but if your tasty chocolate cake is made up of ingredients and you have no idea what they are, would you still eat it? Would you still find the cake appealing if you knew that it was a variety of potent chemicals that were tantalising your taste buds? And that’s why we’re so passionate about transparency around the ingredients in your skincare products. Because when you apply a lotion or cream to your face, you’re also putting it in your body. Your skin is your bodies largest organ, and what you put on, will also penetrate in. Harmful ingredients can trigger allergies, irritate the deeper layers of the skin, and – in extreme cases – cause life-threatening illnesses like cancer. And that’s why it’s so important that consumers – yes, you – know what’s in the products that you’ve been innocently using for all these years. Currently, the industry is hiding behind misleading taglines like ALL-NATURAL, ANTI-AGING and HALF PRICE to distract consumers from what they’re really putting on and in their bodies. With 30 years’ experience formulating mainstream skincare products, trust us when we say, we know ingredients. We recommend that for the sake of your health, you always study your labels before buying a ‘skincare’ product. Take a picture of this article, keep it on your phone, and if you see any of the following eight ingredients listed anywhere, do your cells a favour and put the product back on the shelf. Cetearyl alcohol is used to make your product stretch further. The benefit to the skin is zero. And the downside is that it’s a known skin irritant. When used in a moisturiser, Cetearyl alcohol gives more bang for the buck…not for the consumer, of course, but for the manufacturer. As above, stearic acid is as harsh as it sounds and also provides no benefit whatsoever for your skin. It does make your product go further so the manufacturer can charge you more money, but what’s some skin irritation between friends as long as someone’s making a profit? But if you want to pack out a product with irritating alcohol that’s as harsh on your skin as you’d expect alcohol to be, then here’s your guy! While ethanol sounds like something you’d clean paint brushes with…it is. Ethanol is a potent alcohol present in many household products and yes, also in your skincare. If you don’t understand the reason for adding such harsh chemicals to gentle cleansers and moisturisers, then rest assured, we don’t either. There’s no benefit to the skin in paint stripper, but it does make your creams stretch further so they can fill a bigger pot. But that’s all it does. Phenoxyethanol is used as a preservative in cosmetic products to limit bacterial growth. It naturally occurs in rose essential oil, so manufacturers can label a product containing phenoxyethanol as ‘natural’ even though it’s a synthetic product. Exposure to phenoxyethanol has links to reactions ranging from eczema to severe life-threatening allergic reactions. Infant oral exposure to phenoxyethanol can acutely affect nervous system function. Phenoxyethanol is banned in the EU in skincare and restricted in fragrances, but you can still find it in many skincare products throughout Australia. Hmm. Acrylates are found in nail polishes and come with a warning for nail technicians to wear appropriate safety masks and protective gloves. Ongoing exposure to acrylates leads to health concerns such as cancer, developmental and reproductive toxicity, organ system toxicity, cellular and neurological damage and irritation. Despite being known as a skin irritant and known to cause dermatitis; acrylates are now found in the ever popular black charcoal masks to bind the product to the skin. Parabens (methylparaben, ethylparaben, propylparaben, butylparaben and isobutylparaben) are a dirty word in skincare. In recent years, there’s a growing concern that parabens in skincare have close links to the rise of breast cancer among women. While this is yet to be proven, skincare manufacturers have jumped on the bandwagon and claimed ‘paraben free’ as a reason for consumers to buy their product. The role of parabens in skincare is to preserve your moisturiser and kill the bacteria which leads to mould. When you remove the parabens and your product becomes ‘paraben free’, what do you think now stops the mould? Polyaminopropyl biguanide (PAPB) often replaces parabens as a preservative and is what you’re likely to see on a ‘paraben free’ ingredients list. While PAPB is still considered ‘safe’ for humans up to a concentration of 0.1% in America (1), you can also find it in contact lens cleaner so discretion (or common sense), should be used if you see this listed in your ingredients. Alcohol also replaces parabens. Mainstream skincare manufacturers haven’t yet discovered how to preserve their product without the use of synthetic preservatives so in the meantime, consumers are subjected to harsh, irritating alternatives. Alcohol can cause allergies and skin sensitivities which can carry on long after you’ve stopped using the product. Water isn’t dangerous to your body. But nor does it have a benefit in skincare. For a product that has 80-90% water, you’re paying for…water. Water, or ‘aqua’ dilutes the product, so it stretches further. If there’s any goodness whatsoever in your pots of moisturiser to start with, the water content makes sure that it’s basically gone by the time it reaches you and all you’re putting on your skin is watered down synthetics and chemicals. We openly admit that here at Biologi, we’re obsessed with ingredients. We love to know what we’re getting and why, so it might surprise you that we don’t have an ingredients list for our products. But that’s because all our plant serum products are just that. Pure plant extract. We don’t add synthetic stabilisers or activating ingredients. We don’t dilute our products with water. And we don’t add preservatives or hidden nasties. 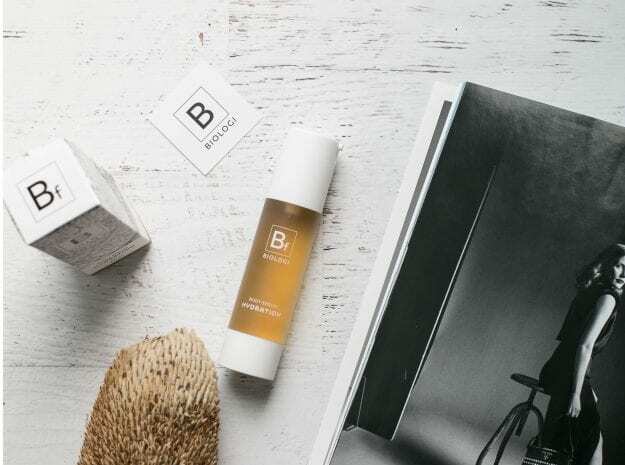 Biologi has developed a unique extraction method which harnesses the plant’s internal process and the untouched combination of phyto-actives to provide a 100% active plant serum for fast, efficient results. Our products are 100% active, 100% stable, and organic. From plant to bottle, we don’t have an ingredients list, because we don’t have ingredients. And yes, our serums are so natural you can drink them.